Erick Lopez knew he was starting to make it as an actor when he stopped getting calls from his family back in Texas telling him to come home or go back to school. “I realized that, family-wise, I hit a certain milestone” when that happened, he tells me with a flash of a broad, infectious smile over breakfast in Brooklyn. The 27-year old, who looks younger, has seen his career grow from commercials and one-off appearances in television shows to regular stints as Tommy on the series Faking It and most recently as Hector in the CW’s Crazy Ex-Girlfriend. The longer his resume gets, the less his parents worry about the viability of life in Hollywood. Turns out the filmmakers liked the fact that Erick had theater experience from his school years. “I was one of the few young Latino actors around that they really liked, and they wanted someone who could not only act but also react to a lot of stuff, because the character has a lot going on internally,” he explains. It didn’t take him long to sign on for the role of Albert, the estranged grandson of Frank, a Los Angeles chef struggling to keep his Mexican restaurant afloat. Circumstances bring Albert begrudgingly back into the family and that’s where the story begins. Erick flew to New York this weekend to attend a screening of the movie at the Urban World Film Festival, the latest of several festivals to promote it ahead of its release on video on demand in November. 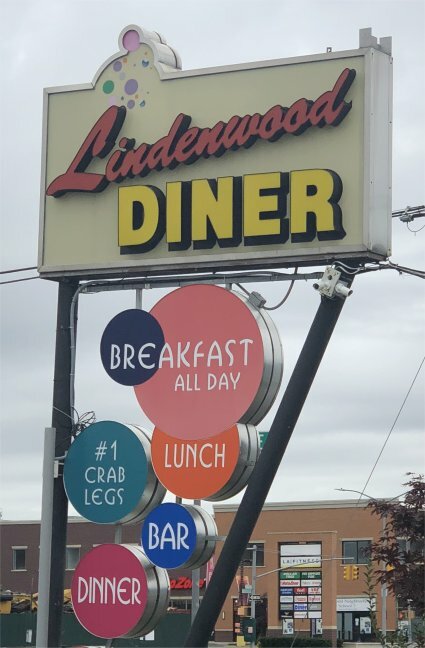 Around 11am he’ll fly back to the City of Angels, but first he’s making time on a Sunday morning to meet with me for a breakfast interview in Brooklyn at the Lindenwood Diner. 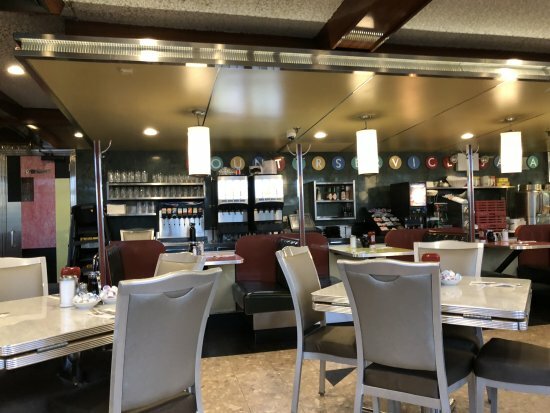 I’m a few minutes early to the diner. It’s a short ride to John F. Kennedy International Airport, where Erick will catch his flight home. The restaurant is deserted at 7.30am, though it’ll be packed to capacity in a few hours. 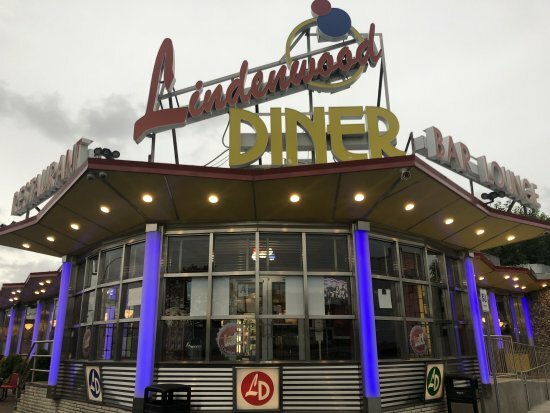 It’s the kind of place that a set designer in Hollywood would come up with if given the task “Manhattan diner” — booths with pillowy dark green leather seats and Formica red tables, a plastic menu with pictures of the food and way too many options, colorful wall signs offering unspecified “PIE,” and servers with an endless supply of pep in their step. The coffee is strong and delicious, and I’m sipping on it when Erick enters. He’s affable from the beginning; I extend a staid British handshake, his gives me a strong American hug. It immediately diffuses any awkwardness, and helps to make the interview zip by. Erick’s friendly, easygoing nature stays the same throughout our hour-and-a-half together, as we touch on all manner of topics, including politics in Washington, D.C. (he’s just picked up Bob Woodward’s Fear about the Trump White House to read on his flight back to LA). He asks me about my work, and our breakfast becomes more of a two-way chat than an interview. When we agree on a certain point, he’ll gesture happily in my direction with his hands and say a joyous “dude” or “man,” making you feel like a long-lost friend. He comes across as the cool, likable athlete from high school that was friends with everyone, the jock who’s just as comfortable with the theater kids. Turns out, that’s pretty close to the truth. His story starts with a promising focus on basketball in high school, before an injury pushed him into drama classes, and then a detour to computer engineering at college in Texas before finally moving to Los Angeles and settling on a career in acting. 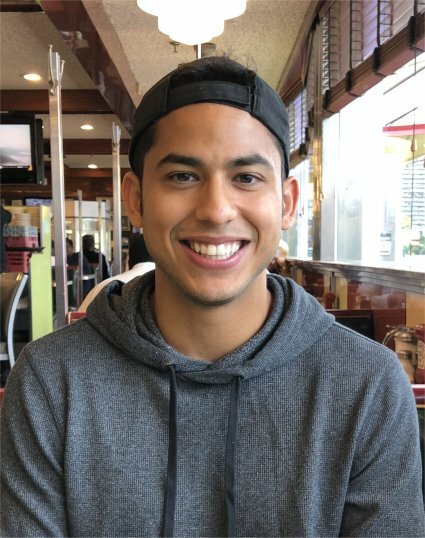 Erick was born in Upland, California but raised in Dallas, where his family moved following the North Ridge earthquakes. At high school his main interests were technology and sports, particularly basketball. However, his sporting career was put on hold at 17, when one day on the basketball court he jumped up for a rebound and landed on a teammate’s foot, tearing his ligament and getting a swollen ankle. The injury kept him out the sport for two to three months, so he needed to put his attention elsewhere. A friend suggested the school’s drama classes, and he decided to give it a try. He praises Mr. Crutcher for championing him and helping develop a passion for acting. “As you go along in life different people shape you; some push you, some take you to the next level. He was the one that really made me fall in love with acting by encouraging me. He showed me that it was something that’s not unachievable except for a select few,” Erick says. Erick’s preconceptions of studying drama were quickly demolished. “I had a certain idea of what theater actors were — super trendy hippy people wearing scarves,” he jokes. “So I made sure when I went to theater class I was still wearing my basketball shorts and my jersey — but now I’m a die hard theater kid. I love that you find your group of people. I was making jokes around my basketball friends and they were like ‘whatever,’ but the theater kids found them witty and played off it, and it was awesome. I found my home,” he says. While still at high school, Erick secured an agent. It was during his senior year at high school that he decided to quit basketball and pursue acting full-time. He knew another student who had transitioned from football to theater, and he put Erick in touch with his agent. “They asked me to submit headshots – I didn’t have any, so I just sent in some school photos, photos people had taken of me, my mom took a photo of me with the classic hand on chin pose,” he recalls, laughing. After high school, Erick was poised to study engineering at Texas Tech University in Lubbock, but his agent said he could do nothing for him if he moved to such a remote location. If Erick stayed in Dallas, then the agency could help get TV, film, and commercial auditions. And so he stayed in the city, studying computer engineering at the University of Texas before switching to arts and technology with a focus on graphic design. 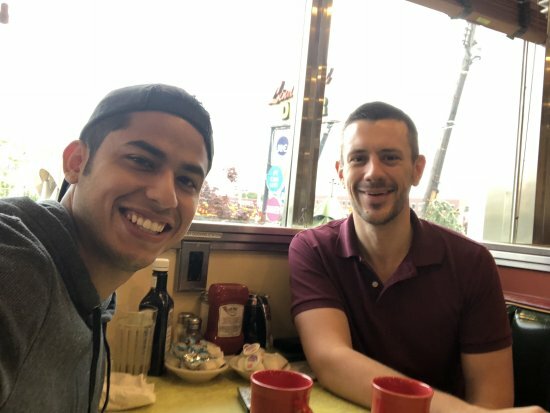 Erick’s ready to tell me about his transition from Texas to California, but before he can our friendly waitress returns with our breakfast orders, and they’re big servings. 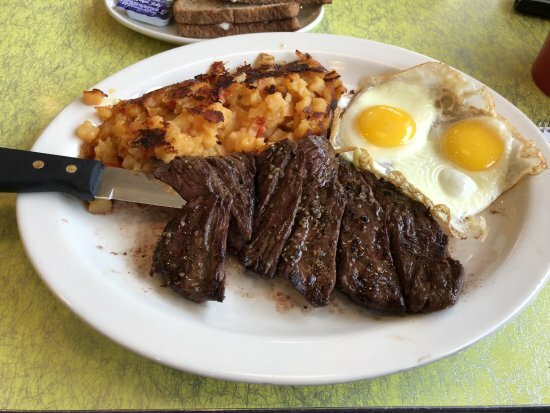 I enjoy a well-seasoned skirt steak with home fries and eggs sunny side up. 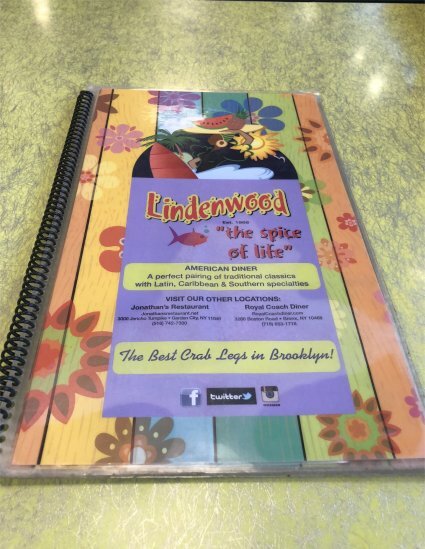 It’s a simple dish and hard to screw up, and the Lindenwood Diner doesn’t make any missteps. 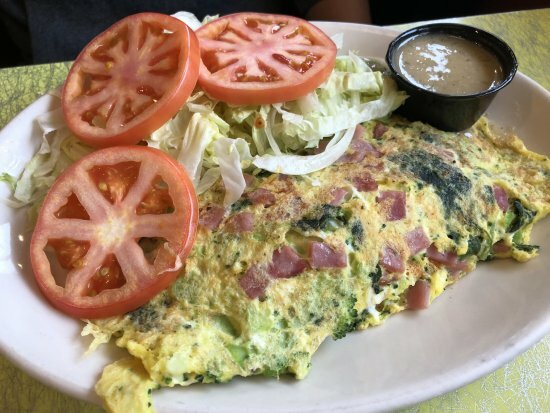 Erick’s eating a healthier option; a “dream omelet” made with three eggs, ham, broccoli, spinach and cheddar with a side of lettuce and tomatoes. He chose the latter instead of the standard fries, and that sparks my curiosity about whether he has to watch his figure, given his very visual profession. He ponders the question while he starts on his omelet. While he works on his less-calorific breakfast, he continues the story about how he left Texas. 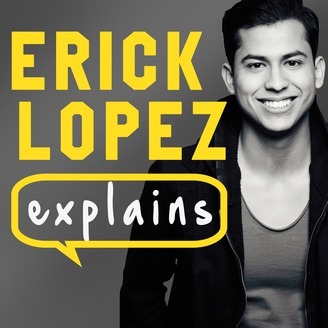 After working on a handful of commercials, Erick started to think about a move to Los Angeles and the potential for making a career out of acting beyond commercials to include film and television. “Being an engineer I make calculated risks. Acting got me some money, and seeing myself on TV was really cool, so I thought, all right, this is possible,” he says, sipping on a cup of coffee. He describes the “big turn” starting when he went to Austin to audition for the Starz TV show Crash, based on the film of the same name that told several stories under one overarching plot. And then there was an audition for the TV show Friday Night Lights based on the movie, and Erick was optimistic given his connection to the director. He made it all the way to final callbacks and his agent was hopeful, but the character ended up being dropped from the show. Erick undertook the first of two moves to LA in 2010 when he was 19 years old, and planned on being there for six months. That’s because his parents still wanted him to complete college, and he also had a girlfriend back in Dallas. “It was almost like I never started a new life in LA because I knew I was going to go back to Texas,” he tells me. Erick returned to LA in 2012, and things have been picking up steam ever since. He scored the role of Tommy in Faking It, an MTV romantic comedy about two high school girls who are mistakenly believed to be a lesbian couple, and fake that they are dating when they realize it’s making them more popular. He went into the audition to read for a nerdy character, but was then asked to do some lines of a jock character. “Playing to type,” he says, laughing. They gave him the part, bringing him back for several episodes over three seasons. “That was the first in a string of guest star and co star roles,” he says. After Faking It, he was picked to play Hector on Crazy Ex-Girlfriend, a TV show that’s part-musical, part-comedy, part-drama about a woman who moves from New York City to LA to try getting back with her childhood sweetheart. It’s a hilarious show, and Hector has become more prominent in later episodes; a likable, occasionally clueless surfer dude. That “other stuff” is behind the scenes filmmaking and making use of his engineering expertise, most recently working on a tech startup creating an app called Bizzy. It’s slated for release in January and aims to be a social scheduling program. “Like Instagram, but for events,” he says, saying it addresses one of the biggest issues in his life: organizing his packed calendar. There are a couple more interviews he has to do before his goal of starting the editing process sometimes in November with an eye to finishing the documentary by February. For example, in one podcast he gives tips on how to find agents and prepare for meetings with them, and in another he answers a host of questions from college students aspiring to be actors. His advice? “I told them the best thing you can probably do is go to university and take business classes, take finance classes because that’s going to help you out for other things in general. You can be a business major and still work in the industry, you can be a graphic design artist and still work in the industry, there are different majors you can take instead of theater specifically,” he says. But if that’s too expensive, he says there’s nothing wrong with moving to LA or New York and “starting from scratch” — although he says a supplemental income is a necessity at first. Some of Erick’s side hustles for extra cash include renting out a high-end camera he bought, or working as a director of photography on projects. And these gigs have the added benefit of introducing him to more and more creative and technical people in the industry. It’s networking with the added bonus of a paycheck. “The number one thing I would say is become a creative asset to people. If you go to LA or New York and you’re just an actor you’re kind of limiting yourself to how you can be an asset,” he says. But having a diverse range of skills from acting to some off-camera expertise can be a great way to increase the potential job opportunities. On that optimistic note, breakfast comes to an end and Erick gets ready to head to the airport. 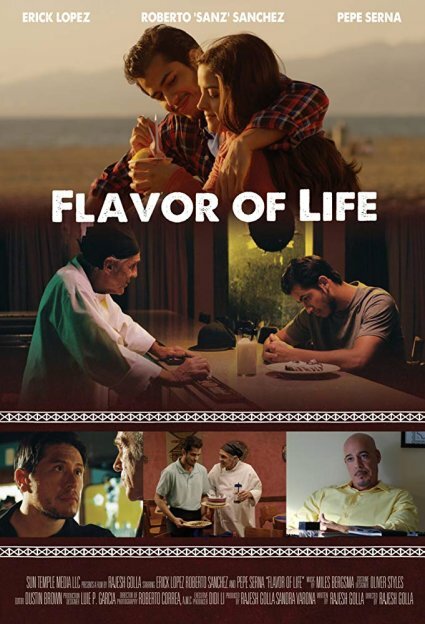 He gives another friendly goodbye, and then he’s off back to his busy life in LA, with the possibility of more screenings of Flavor of Life. With his expanding filmography and the end of the worried calls from home, it’s clear Erick is enjoying growing success. One of the biggest takeaways from his early years in acting appears to be to persist despite unsuccessful auditions. The perseverance has paid off for Erick, and now he’s pitching it to aspiring actors. I’m reminded of episode four Erick Lopez Explains, and a remark he makes about how to define success. He talks about a TV show audition that was so important to him, he left a trip to Disneyland with his family early, spent hours preparing, and went in to it refreshed and full of ideas. He didn’t end up getting the part as they went with someone else “looks-wise,” but the the creator of the show sent “a very nice” note thanking him and promising to keep an eye out for future roles he might suit.